Used in both new home construction and home remodeling, moulding allows builders and contractors to add character to a room easily. In this article, we highlight what interior moulding is and how you can use it to create dynamic, elegant rooms. As a form of wall decoration, moulding is applied to the horizontal joints of a room; the top area of vertical walls and the room’s ceiling. Moulding trim is also used at the base of a wall to add personality to the perpendicular connection. There is also specialty moulding that provides charm and originality to any room in your home. This trim is available in wood, composite and flexible rubber, and is typically painted white. Ranging from sleek to intricate design, moulding adds dimension to the room and offers our eyes a reference for the size of a room as well as creating extra detail to previously untouched, plain surfaces. 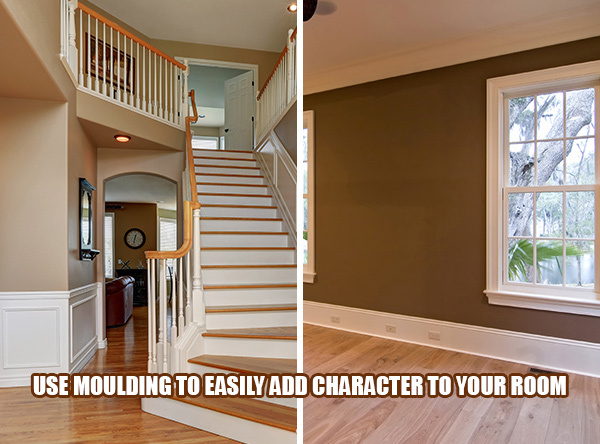 Moulding is a relatively cost effective option for increasing room appeal. It is important to realize that trim moulding may be applied selectively and does not necessarily need to be used in each room. High traffic areas of the home such as the kitchen, family rooms and dens are perfect for installing trim. The living room is a great area to install decorative, specialty moulding which look especially luxurious with trim. Hallways also benefit from moulding and can be used to make the space appear larger. To learn more about the mouldings offered by ASA Builder’s Supply please visit us on the web here. Our team has been serving builders since 1952, combining high quality materials with expert craftsmanship to yield satisfied customers each time. Appointments may be scheduled online or by calling us at (248) 624-7400 and selecting option 2, or stop by our showroom, we will be more than happy to assist you.